Well organized, especially despite the weather and strong winds. Great artists playing to a nice and well minded crowd. Line up but was great but the stage and lights did not live up to the calibre of these djs. Very poor setup and location selection. Also, don’t think you should’ve done the boat party. It’s too much for one day. Wind was an external factor but probably should’ve moved the setup to the garden area of the hotel. Location was quite far unless you were targeting Abu Dhabi too. Solid selection of artists combined with an ideal beach setting to dance all night long! 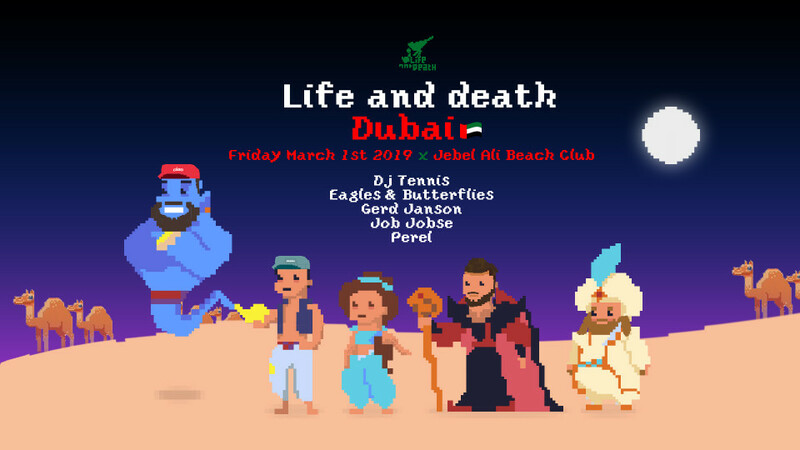 Life and Death ventures to Dubai, for their inaugural event in the Emirates, at Jebel Ali Beach with a fully immersive production across the deserted beach and Divaz boat. Our friends over at Careem have got you covered! Use code LADDubai to get 50% off each ride. Max discount per ride is AED30. Slated for the first of March, Life and Death Dubai sees DJ Tennis assemble a shining cast of astute selectors, varied in sound an style. Gerd Janson is set to appear, alongside welcomed return performances by Eagles & Butterflies, Perel and Dutch prodigy Job Jobse. Nestled on sun-soaked shores of the Arabian Gulf, Jebel Ali Beach is the ideal open-canvas, only paces from Dubai’s famed Jebel Ali Palm Islands. The venues’s intimate indoor premises overlooks a sprawling, outdoor estate, complete with endless views across the marina, from its private beach and Divaz boat. Expect a unique production which will include all of these elements.